"I love this website! Thank you for the great ideas!" I made this for my niece's adoption party when she was 5. 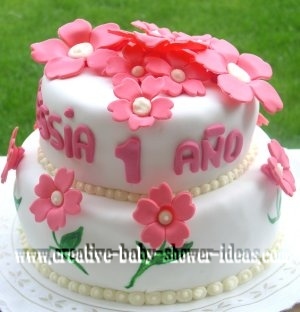 There are 1,000 roses on the cake. 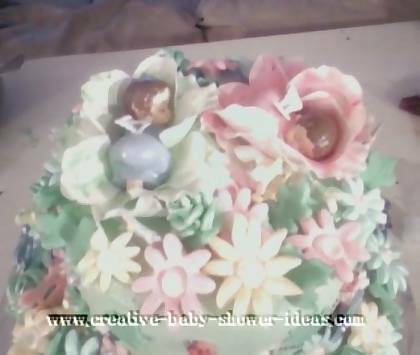 It is made with an 10" and 8" cake with about 1,000 butter cream roses mounded on top of butter cream cake. There is also a pink fondant bow on the side. 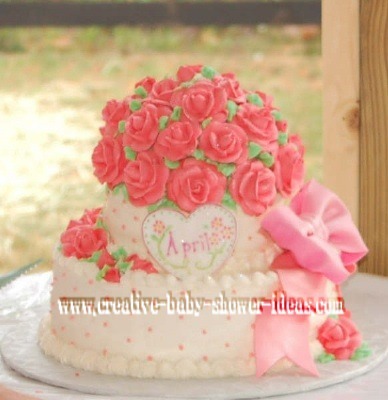 This spring time flowers baby cake is made out of 10 inch, 8 inch and 6 inch cakes. I covered it with marshmallow fondant and hand painted them with gel colors. 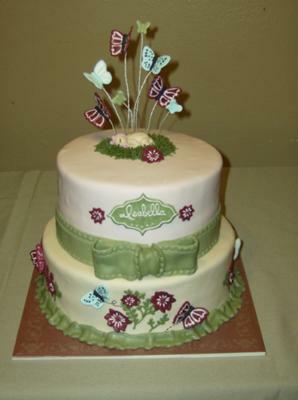 I made the flowers and bumble bees out of fondant and attached it to the cake with thin wire. It was so fun to make! 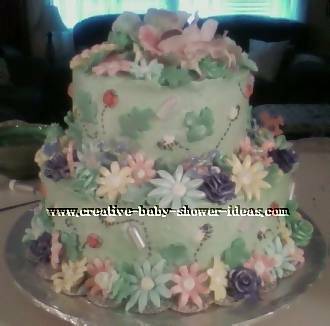 I made the flowers two days ahead of time using a marshmallow fondant used a buttercream icing colored mint green then added the flowers and bees and ladybugs. I piped the bug trails with black icing.